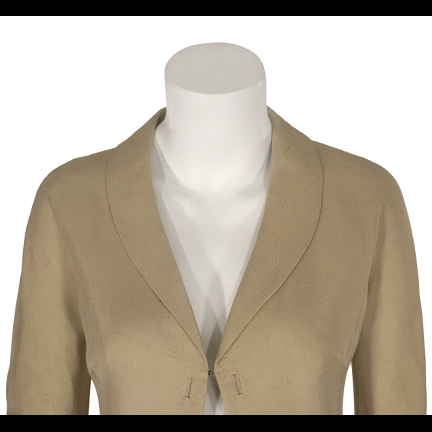 This two-piece skirt suit was worn by the character “Sylvia West” portrayed by actress Caroll Baker in the title role of the 1965 motion picture “Sylvia”, also starring George Maharis and Peter Lawford. 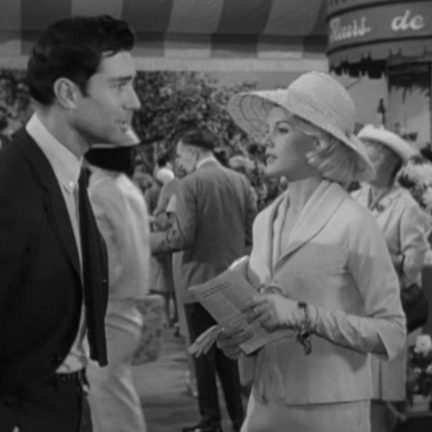 The wardrobe was created by Academy Award winning costume designer Edith Head. 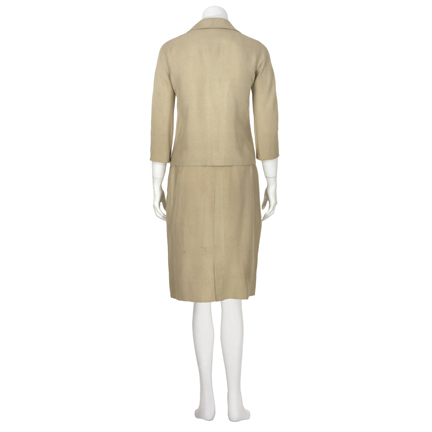 The outfit is constructed of beige silk and consists of a 3/4 length sleeve jacket with hook and eye closure at the bust and a matching knee length skirt. 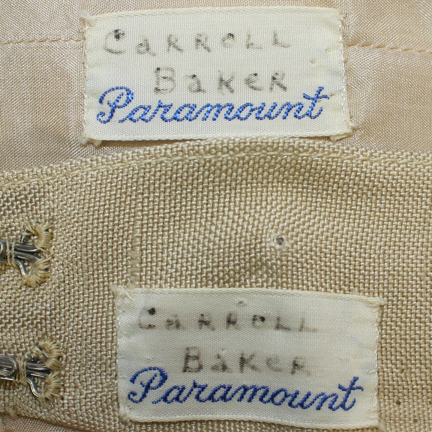 The interiors of both garments are lined with beige china silk and have the original Paramount Pictures labels sewn inside with the name “Caroll Baker” handwritten in slightly faded ink. 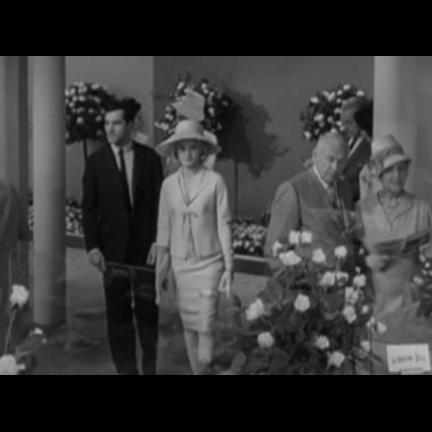 Ms. Baker wore the complete outfit in the scene where Sylvia attends an annual flower show with “Alan Macklin” (Maharis), unaware that he’s actually a private investigator hired to look into her background on the behalf of her wealthy fiancé. 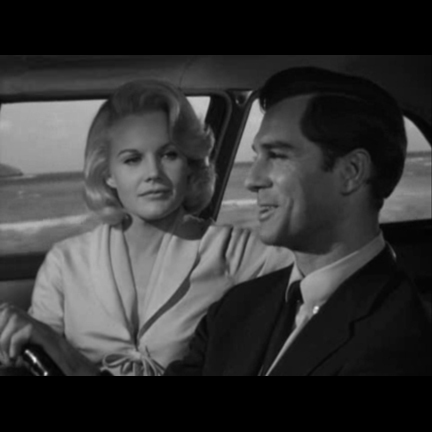 She continued wearing the complete outfit in the following scene when they visit one of Macklin’s friends for dinner, and removed the jacket during the scene when she throws Macklin out of her house after he confesses to being in her fiancé’s employ. The jacket was originally worn with a tied string bow in the front (not included). The garments are in good vintage condition with minor evidence of wear. A small portion of the left side waistband was replaced with muslin, likely due to distress on the original hook and eye closures. Accompanied by a letter of authenticity from the costume house.